Over the past couple of weeks, three things have served to lift the gloom of an apparently endless winter in Tory Britain. First has been the first stirrings of what may well become a real wave of popular revulsion at and opposition to the Government’s vicious Bedroom Tax. Three local councils have already publicly announced that they will not evict tenants forced into arrears by the odious measure – Dundee (SNP), Burnley (Labour) and Brighton (Green) – and there are signs that more may well follow their lead. At the same time, the first demonstrations against the tax have taken place in a number of cities across Britain. The second event has been the flood of resignations from the SWP as a result of the bureaucratic and bullying attempted cover-up of the the ‘Comrade Delta’ affair by the party’s inept and dishonest leadership. While sadly, many of those resigning are likely to drift out of political activity all together, a number of them, along with a few of the many thousands of other ex SWP members, have established the International Socialist Network, whose web based forum is already showing fresh and independent thinking and a determination not to reproduce an SWP Mark II (i.e. much the same politics only much smaller). 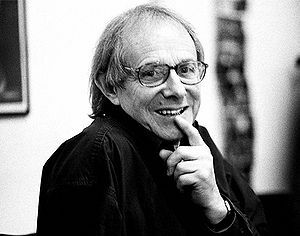 The third event has been the appeal by Ken Loach for socialists to get together to discuss the formation of a new political party of the Left which could bring together those who wish to defend the welfare state and present an economic alternative to austerity. Within a few days, over two and a half thousand people had signed up and now I gather it’s over three thousand. It’s early days, but there is clearly some enthusiasm on the left for a fresh start. However, the capacity of socialists not to listen to each other, to make assumptions about each other and to be knowingly or unthinkingly sectarian, appears to be almost limitless. In response to Ken’s appeal on the Left Unity website, Will Duckworth, Deputy Leader of the Green Party, member of Green Left, the party’s ecosocialist tendency and, it should be stressed, a fine comrade and a really admirable bloke, wrote the following sectarian nonsense ‘Coalition of Resistance is the movement and the Green Party is the political party. There is no need to reinvent the wheel; just get behind it and push.’ Will’s post was followed by similar contributions by perhaps a dozen other Green Party members from the left of the party in much the sam vein. I responded to Will by posting the following: ‘This is a classically sectarian response. Just change a couple of names and see what Will’s statement sounds like – “Unite the Resistance is the movement and the SWP is the political party. There is no need to reinvent the wheel; just get behind and push.” Catch my drift?’ (To be fair to Will, he responded by saying that I had made a good point). However, the excellent Andrew Burgin, who runs the Left Unity site, asked Tom Walker, who has recently very honourably resigned from both the SWP and his job as a journalist on Socialist Worker, to ‘write in response to the concerted effort by the Green Party to suggest that we should all join them.’ (Although, to anyone who knows the way the Green Party operates, the idea of it mounting a ‘concerted effort’ on anything is laughable). Tom responded to the invitation with a article entitled ‘How left is the Green Party?’ . Now, cards on the table, I am (currently at least) a member of both the Green Party and Green Left – but I am also fully behind Ken’s appeal and the project to renew the left and move towards the establishment of a new mass party. So I have to admit that I was slightly depressed by both the naive sectarianism of the Greens and Tom’s rather shallow analysis which did nothing to aid an understanding of the nature of the Green Party. I’ll deal with the reaction of many of my comrades in the Green Party/Green Left first. As Tom says of some of his Green friends, they ‘seem not so much angry as bemused as to why there is even a discussion on this subject at all’. After all, as Tom himself points out ‘the Green Party’s most prominent spokespeople are all left wingers’. Will himself of course is, as is the party’s leader, Natalie Bennett and the party’s only MP, Caroline Lucas, who is one of the left’s few representatives in parliament, is widely admired across the left and has frequently explicitly described herself and the Green Party as anti-capitalist. The responses from Green Party members seem to me to have been, on the whole, needlessly defensive and prone to a naive sectarianism. For example; ‘The Green Party is the only Party who’d renationalise railways, reverse Health and Social Care Act, provide a fair welfare system, etc. It is the Party of the Left’… ‘The Green Party is already in the forefront of the fight for social justice’… ‘The Left does not need another party to split the vote and allow Tories in. The left needs to unite behind the Green Party and make a massive change for all our good at the next election… ‘The Green Party is the party of equality – the party’. And so on. First, all of this nonsense seems to me to betray an obsession with programmatic purity, which, as Hal Draper pointed out many years ago, is a defining mark of sectarianism. Second, it reveals an extraordinary degree of self deception about the influence and reach of the organisation – another fatal sign of the sect mentality. ‘Sect’ is a term usually used as as term of abuse to mean a group one doesn’t like, as in the People’s Front of Judea vs the Judean People’s Front, but I see it as a group that claims for itself exclusive rights on the Full and Correct Programme. The sect mentality typically sees the road ahead as one in which one’s group will grow and grow, because it has the Full and Correct Programme, until it becomes a small mass party, then larger and larger until it becomes large enough to impose itself as the party of the working class (or in the Green Party’s terms, to win a general election). The Green Party may be an unusual sect (and, unusually, a pretty civilized and tolerant one), but a sect it is nonetheless. Like other sects it is obsessed with the Full and Correct Programme (in this case it’s Policies for a Sustainable Society rather than the Transitional Programme of 1938 or the British Road to Socialism) which, if presented to the unenlightened masses assiduously enough will eventually lead them to recognise their previous shortsightedness. Like other sects it tends to view actual concrete struggles through the distorting prism of its own programmatic priorities. Of course, it doesn’t share with most far left sects an obsession with a ‘Leninist’ conception of the party (although, arguably, neither did Lenin) and it doesn’t have a class analysis (or much of any kind of analysis) of society and the state. It doesn’t have any of the various laughable programmatic tics and obsessions of what some have called ‘the 20th century left’ – but then it doesn’t need to as it has plenty of its own. It is largely the hollowing out of the Labour Party and the continuing failure of attempts to regroup the far left sects and reshape them into something that has even a nodding acquaintance to reality, that has led the Green Party to become, largely by default, a pole of attraction for an increasing number of homeless socialists. For many of them, the party is a sort of Sargasso Sea where isolated (and often disillusioned) lefties can drift, substituting attendance on demonstrations and the drafting of radical motions for party conferences for real political activity – rather like student politics for the middle aged. For many lefties in the Green Party, the experience of being in an organisation that is, for the most part, clearly to the left of Labour, is extremely congenial. Thus Howard Thorp, the party’s Campaigns Co-ordinator (and member of Green Left) responded to Tom’s article by asking whether he had ‘ever bothered to read the GPEW’s policies? Yes, there are many of them, pro-trade union, pro-economic democracy, pro-NHS and public services, and dealing with the realities of climate change rather than just talking about as the other parties do’. Of course the problem is that ‘dealing with the realities of climate change’ (what hubris!) is interpreted as simply putting up candidates in elections at every opportunity – who rarely win – and going on the annual climate change demo. As far as the party’s size and importance is concerned, comrades in the Green Party need to stop deceiving themselves and making puffed up claims for the organisation. Officially, the party has around twelve and a half thousand members but in reality barely 10% of the paper membership is active in any meaningful sense . The claim that the Greens are the fourth largest party in terms of elected officials and paper members is meaningless. Leaving aside the fact that the rest of the left, whether aligned or non-aligned, have thousands more elected members in the trade union movement, which remains the most important democratic institution in Britain, being fourth is nowhere. Having 155 councillors and 1 MP when there are over 14,000 councillors and 650 odd MPs makes the Green Party a midget – and it has taken it 40 years to become that midget. There is no chance at all the the GP can, on its own and with it’s current eclectic blend of economic and environmental crankery, sentimental reformism and socialist demands for justice and change, become the mass movement that is capable of mounting an electoral challenge – or any other sort of challenge – to the two and a half parties of the ruling class. But disappointingly, Tom’s article really doesn’t really attempt to understand the peculiar nature of the Green Party or the socialist left within it. Instead, it approaches the question in a rather shallow journalistic fashion and merely attempts to dismiss the party as not really on the left and therefore more or less irrelevant. Having conceded in his introduction that the party’s main spokespeople are clearly to the left of Labour he then goes on to resurrect the old ‘ah, but what about the Greens in Germany and Ireland’ chestnut. So it doesn’t matter if most British Greens think that they are to the left of Labour and act as if they are to the left of Labour – what really matters is what other Greens elsewhere have been up to. And Tom is selective in his choice of Greens when playing the guilt by association card – he doesn’t mention the Catalan or Portuguese Greens, who work in alliance with communist and trotskyist parties, for example, nor the Greek Greens, who are part of Syriza. And then there is the clincher – Brighton. 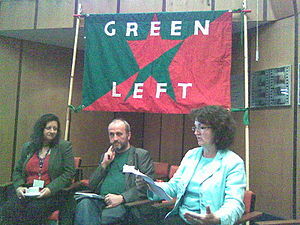 Of course, the capitulation of the the Green Group on the council without even putting up a show of resistance has been disgraceful, but this has been attacked just as forcefully from within the Greens’ ranks as from outside and even Caroline Lucas has distanced herself from the decisions of the discredited leadership of Jason Kitkat. But for Tom, this wholly predictable collapse of an inexperienced bunch of left reformists when unexpectedly handed a local council to run as a minority administration is ‘the canary in the coal mine’ that reveals the true nature of the party as being essentially the same as Labour. Tom misunderstands the development of the Green Party towards an idiosyncratic left social democratic politics over the last few years; a politics more or less in the tradition of the ‘sandal wearers and fruit juice drinkers’ of the ILP that so maddened Orwell. While he acknowledges that the party has ‘many good socialist members’ (thank you very much) ‘and some radical policies’ he insists that nonetheless it is not only not a party of the left, but it is deliberately not. He doesn’t mention which secret cabal has made this decision, but goes on to say that quite a large section of the party ‘are devoted to an agenda of ‘cycling and recycling’, with a narrow focus simply on environmental issues’ . While this is unfortunately true, although less so than Tom might think, he then goes on to say that the left in the party are ‘happy to work alongside those who use the phrase “neither left nor right” with a straight face’. This is simply not true, not only because the organised left in the party has relentlessly opposed this sort of politics, but because the numbers clinging to such a daft and reactionary position are small and growing smaller by the day. Of course, when Tom concludes that ‘the Green Party offers no solution to the problem of working class representation, or a left alternative to the mainstream consensus’ he is right – we need an entirely new sort of mass party of the left that can mobilise millions. The Green Party is not that party, nor can it be. It is merely the largest sect on the left and like all the others cannot provide the basis of such a party. At some point we must make a fresh start. However, it has played a valuable role in bringing green issues, once derided or ignored by most far left groups, into the mainstream of socialist politics and it certainly contains as many socialists as the SWP or the Socialist Party. It, or at least a large section of it’s membership, could and should be a valuable asset in our common endeavor of working towards that new party of the left that Ken has so eloquently called for. This entry was posted in Green Party, Left regroupment, Politics, The Left and tagged brighton green, Caroline Lucas, Green, Green Left, Ken Loach, Left Unity, Natalie Bennett, Will Duckworth. Bookmark the permalink. Thanks for this – good piece. I agree with what you say, but would like to add just one thing to your conclusion. You say that we bring environmental issues into left politics, and we do, yes, and yes, that’s a good thing. But I think we bring another important thing – radical, decentralist democratic instincts. Of course, Greens can’t pretend in any way to have invented these ideas, nor to be the only people who have them in the UK now. But one difference between Greens and many in the more Leninist left parties is that we tend to a more decentralising vision of socialism than that of democratic centralism. I think this is important – that a key lesson for the left from the 20th century is that it is possible to be alienated from a distant state as well as it is from our labour. Looking around the world, we must recognise that succesful anti-capitalist movements are those – Bolivia, Ecuador, Venezuela, for whom radical democracy is key. I think this is something we Greens should place much more emphasis on, and I think it is a useful contribution to left/socialist politics in Britain. That’s a very good point, Adam. You are right about the importance of the Greens’ instinctive democratic and libertarian instincts – it was certainly an omission on my part.